AirDroid (Android) - Manage your phone wirelessly! ~ Android Forever! 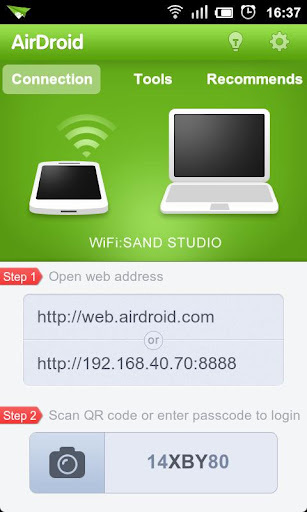 AirDroid (Android) - Manage your phone wirelessly! Developer Quote: "AirDroid is a fast, free app that lets you wirelessly manage your Android from your favorite browser." Wires are so yesterday. When you think about it, didn't they call radio "wireless" when it was first invented like a thousand years ago? Anyway, you don't have to plug your Android phone into your PC to manage it on your PC's browser, that's my point. And you can do it with style and panache, and even some aplomb if you like, by using this free app. 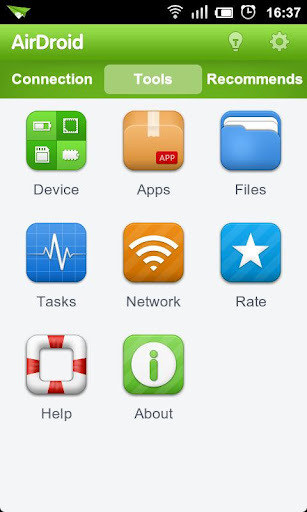 AirDroid is FREE on Google play!